Purdue University Press, 9781557533586, 217pp. The genesis of Comparative Cultural Studies and Latin America stems from the contributors' conviction that, given its vitality and excellence, Latin American literature deserves a more prominent place in comparative literature publications, curricula, and disciplinary discussions. The editors introduce the volume by first arguing that there still exists, in some quarters, a lingering bias against literature written in Spanish and Portuguese. Secondly, the authors assert that by embracing Latin American literature and culture more enthusiastically, comparative literature would find itself reinvigorated, placed into productive discourse with a host of issues, languages, literatures, and cultures that have too long been paid scant academic attention. Following an introduction by the editors, the volume contains papers by Gene H. Bell-Villada on the question of canon, by Gordon Brotherston and L cia de S on the First Peoples of the Americas and their literature, by Elizabeth Coonrod Mart nez on the Latin American novel of the 1920s, by Rom n de la Campa on Latin American Studies, by Earl E. Fitz on Spanish American and Brazilian literature, by Roberto Gonz lez Echevarr a on Latin American and comparative literature, by Sophia A. McClennen on comparative literature and Latin American Studies, by Alberto Moreiras on Borges, by Julio Ortega on the critical debate about Latin American cultural studies, by Christina Marie Tourino on Cuban Americas in New York City, by Mario J. Vald's on the comparative history of literary cultures in Latin America, and by Lois Parkinson Zamora on comparative literature and globalization. 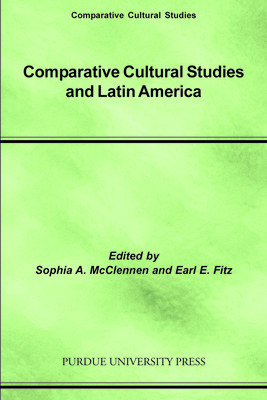 The volume also contains a bibliography of scholarship in comparative Latin American culture and literature and biographical abstracts of the contributors to the volume.